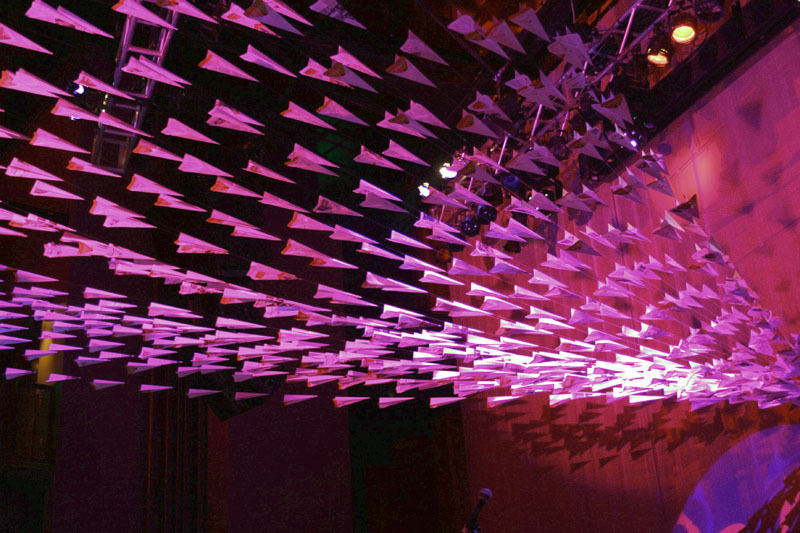 Matthew Parker Events is a boutique design studio from Seattle, WA that produces custom event decor, paper art, and prop styling. Most recently, Parker’s design for the Design*Sponge Book Tour backdrop has been popping up on various design blogs, but he’s got other interesting work as well, that ranges from window displays to event installations to a custom wedding altar. Using common elements such as paper and cardboard in combination with influences that include typography, tessellation origami, pop art and the future, Matthew Parker creates original handmade decor. 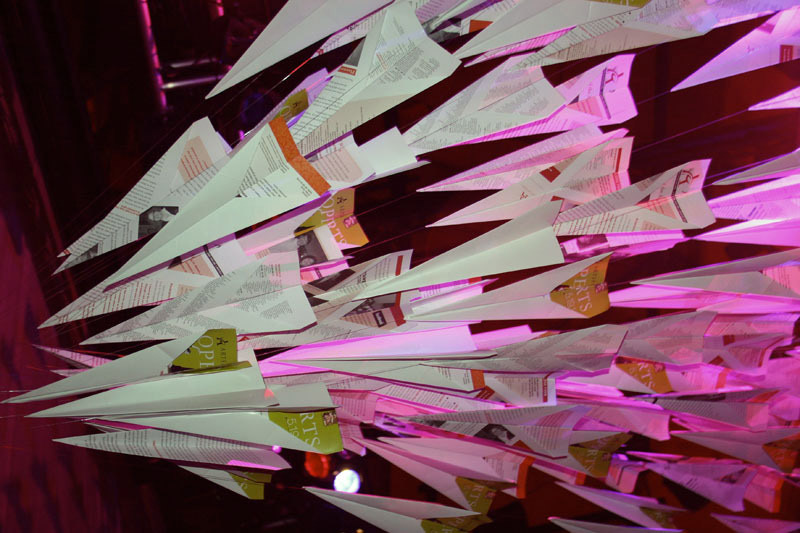 Top two photos: Paper airplane installation at the EMP for an Artsfund event. Photos by Jena Lacomis Garcia. Other photos: Coffee filter sculpture/installation in collaboration with Sam Trout. Photos by Kip Beelman. This entry was posted in Art, Event, Fun, Industrial Design. Bookmark the permalink.